Owen Valley beat Northview and advances to play Greencastle tonight at 6:00p. Due to pending weather tonight’s matches have been moved to DePauw Univ (inside courts). South Putnam vs South Vermillion at 4:30 and our match to follow around 6:00p. Good Luck T C Tennis! Boys Varsity Tennis · Oct 1 Boys’ Tennis Sectional Info. 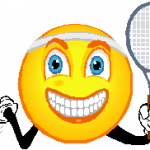 The Tiger Cubs Tennis program drew the bye and will play the winner of the Northview – Owen Valley match on Thursday, Oct. 3 @ 6:00 pm. following the South Putnam vs South Vermillion match 4:30 pm. The Sectional will be hosted by Northview High School in Brazil. Good Luck Tiger Cubs Tennis! 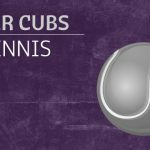 Boys Varsity Tennis · Sep 25 Boys Tennis News! First: Senior Night at Boys Tennis on Thursday 9/26 at 4:45p before the match at 5:00. Hope you will come support the team, our senior and his parents. 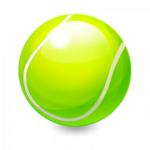 Second: We have moved the Saturday Tennis match with Danville from Saturday to Monday at 5:00p … at Danville. Please adjust your schedule and calendar. Thank you! Boys’ Tennis to make up postponed match with Northview on 9/18 at Greencastle 5:00p. Pass the word! 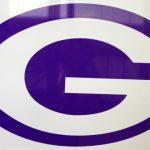 Boys Varsity Tennis · Aug 26 GHS Boys Tennis beats Edgewood!